Jackpot Paradise Casino has chosen an iconic Las Vegas landmark sign, and incorporated it into the logo for the casino. One thing featured in the background that wasn’t borrowed from Vegas however, is the beautiful ocean scene. This simple background, with rolling ocean waves, and a palm tree tucked in the corner, with a perfect sunset to complete the image. All fifteen of the images are pretty typical of what you may think of when you envision yourself hitting a big jackpot, or playing in an online casino. Money is the primary thing you see, with several different images featuring it in various ways: in someone’s hands, being thrown in the air, stacks of casino chips, or even just different monetary symbols, like that for Euros, the British Pound, or the US dollar. The positive imagery on the reels is also unique and fun, with the word Jackpot appearing regularly, as well as the affirmation to Think Big. While not everyone believes in the power of positive thinking, there’s nothing wrong with keeping a positive and hopeful outlook when playing a slot game online, particularly if you’ve just made a large wager! Bets on this online slot game are really suited to whatever you can afford in free credits, giving you the chance to bet up to forty coins on the twenty pay lines, or go with something a little less rich. While most people tend to stick to ten or even twenty coins on the maximum number of pay lines. There’s no worries though because if you drop below 100 credits, you will automatically have 1000 credits refreshed. 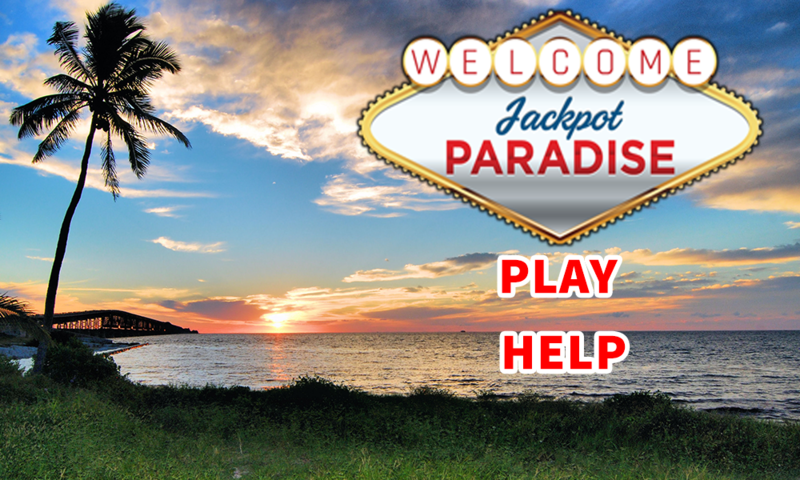 Even one small win can be the start of something much bigger, and Jackpot Paradise could be the one place to make that happen for you.